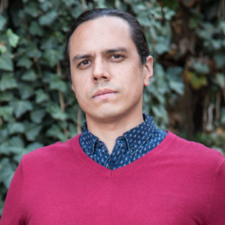 Nick Estes is a citizen of the Lower Brule Sioux Tribe and an Assistant Professor of American Studies at the University of New Mexico. He is the author of Our History is the Future: Standing Rock Versus the Dakota Access Pipeline, and the Long Tradition of Indigenous Resistance (Verso, 2019). 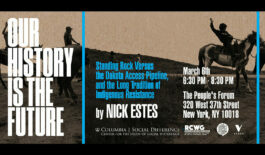 Join us in the launch of Our History Is the Future, Nick Estes traces traditions of Indigenous resistance that led to the #NoDAPL movement. Our History Is the Future is at once a work of history, a manifesto, and an intergenerational story of resistance.